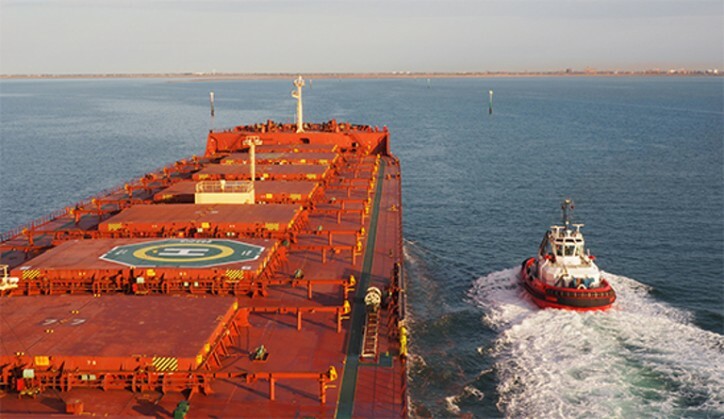 Fortescue Metals Group Ltd (ASX: FMG, Fortescue) announced today it has appointed Kotug Australia Pty Ltd (KOTUG) as its towage services operator for the Port of Port Hedland. The contract has been awarded following a competitive tender process based on safety, capability and cost-effectiveness. KOTUG has appointed local towage service provider Westug Pty Ltd as its key subcontractor to manage operations in Port Hedland. Chief Executive Officer Nev Power said the new contract would see KOTUG supply an additional three tug boats to complement Fortescue’s six new ART 85-32W tugs, providing a total fleet of nine tugs for the towage operations. “KOTUG is an internationally recognised tug builder and towage operator with significant experience in Europe, Asia and Australia. Together with the local experience and expertise of Westug, we are confident they will provide safe and reliable towage services that will maximise efficiencies at our Port operations,” he said. Fortescue will work closely with the Pilbara Ports Authority to ensure a safe and smooth transition to operational commencement in 2019.